Description: Well-known herbaceous perennial. Can be invasive and hard to eradicate. Never--the-less it is an attractive plant. 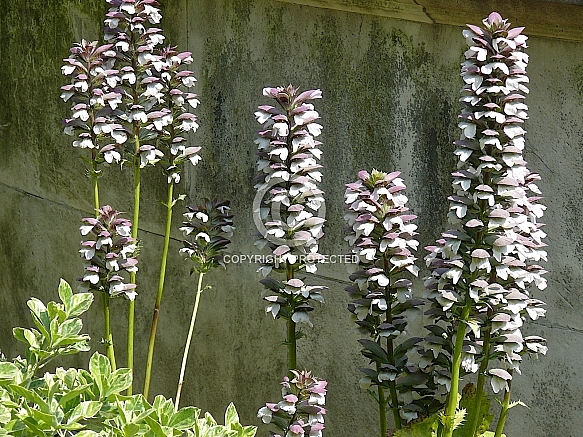 The purple-brown and white flowers appear on 1m tall stems over summer. Useful cut flower and for dried arrangements. Evergreen, large leaves. Has an underground rhizome which can be divided for propagation purposes. Hardy.